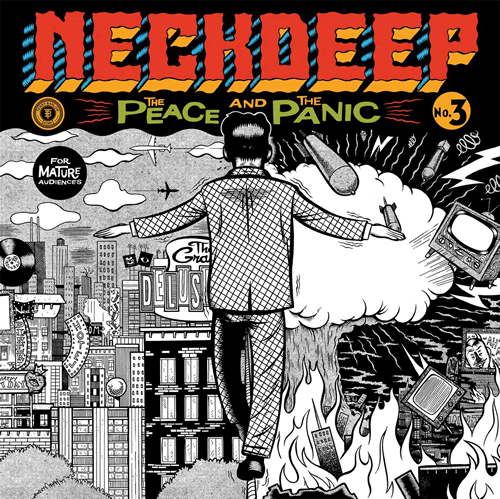 NECK DEEP is rated 4.4 out of 5 by 109. Rated 5 out of 5 by GeordieGaz from Best Live Show in Years! First time seeing Neck Deep, defo not the last! Amazing gig, crowd were jumping all night. Come back to Newcastle soon!! Rated 5 out of 5 by Kuntz from Sick guys Yeah it was awesome, band was so good. Atmosphere was great. Rated 5 out of 5 by Liv181216 from Best night of my LIFE! I went with my boyfriend and even through my anxiety, it was one of the best nights of my life! The atmosphere was insane and the band were so nice and interactive with their friends. They put on an amazing show. Great humour. Great set list. Great voice. The best! Rated 4 out of 5 by Fli from Great Show: I guess I was in the minority as I came to see As it is, who were amazing. However Neck Deep completely killed it, great setlist, great production ( pyro, spark showers) ended up wanting to check them out more. They also had a "mental health hype guy" who came out a couple of times between bands. He talked about how mental health isn't being talked about enough, and I'm glad that Neck Deep endorsed this on their tour. Rated 5 out of 5 by Reeceb from Fantastic show! Great show as always! They’ve stepped up their game massively with extra production, the whole show was brilliant . Rated 5 out of 5 by Dj7 from Great show!! Great gig from start to finish.. great energy from the guys and the set list was awesome.. Rated 5 out of 5 by tjcvlt from great security the security were really good and treated everyone nicely, crowd surfers were respected and they passed out plenty of drinks. only thing which was annoying was that i had to take the lid off of my bottle in order to take it in so i had to hold it all night. band were amazing and view was great.